Dina Shacknai wants authorities to reopen the investigation into her son's death, and on Friday she's making her case to Dr. Phil. 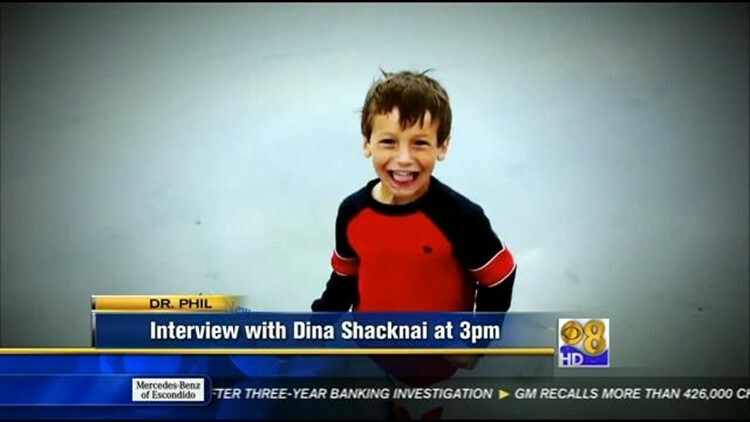 (CBS 8) - Dina Shacknai wants authorities to reopen the investigation into her son's death, and on Friday she made her case to Dr. Phil. Coronado investigators ruled that Max Shacknai accidentally fell to his death off a staircase in the Spreckels Mansion last July. But Dina Shacknai says Max's injuries were not consistent with an accidental fall and she believes her son may have been murdered. Max's father's girlfriend Rebecca Zahau was inside the mansion with Max as the time of his injuries. She later committed suicide.